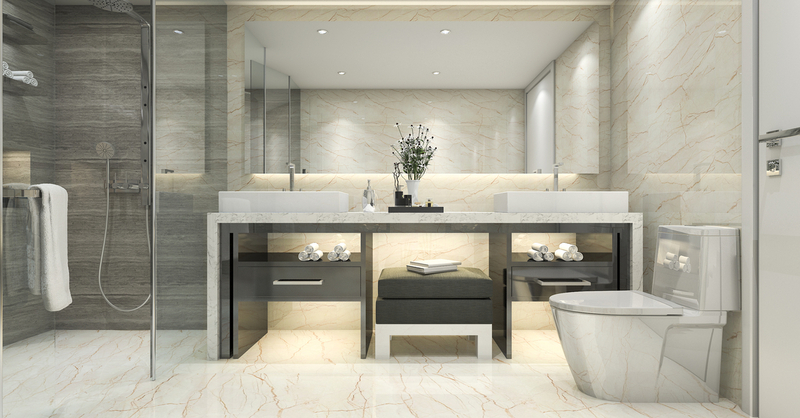 Designing a modern hotel bathroom is a complex process; designs that combine elegance and innovation for the user must also deliver durability and ease of servicing and cleaning for the client. Installing wet rooms in a hotel provides a number of lasting benefits to both the business and its guests. And with over 30 years experience in designing and managing the installation of large commercial projects, CCL Wetrooms are perfectly positioned to serve your needs. Elegance and style in designs should be combined with both functionality and practicality. For most hotels, we recommend easy entry low-profile shower trays, anti-lime scale glass coatings on shower enclosures and surface finishes that are durable, hygienic and easy to clean. Sometimes you don’t always get the freedom of a new build when planning your wetroom design. If you can’t move the building’s plumbing, or have to work with a cramped space, you need to make the most of every inch. 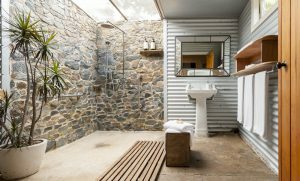 By opting for a wet room with a shower rather than a bath take advantage of the extra space by including a bigger vanity or to make the shower a statement piece with glass partitions and a great rain shower head. Many hotels use a central stack design to ventilate their hotel rooms, they put a fan on the roof, and as result of that, the upper floors get better ventilation than the lower floors do because the lower floors are so far away from the fan. If it’s a seven-story building or a five-story building, the upper story might be getting 120 CFM 9cubic feet per minute0 out of that vent, and the first floor might be getting 20 CFM just because of the distance. Installing a fan in the wet room helps provide consistent ventilation throughout the hotel and the rooms and helps extend the periods between deep cleanings and repaintings by lowering the humidity in the space. Water pressure needs to be consistent on all floors, which can be an issue depending on the size of the water pipes and the way the pipes are run through the walls. Whether you’re working on a new build or upgrading an existing structure, you need to make sure the pressure, and resulting flow rate, is consistent. Wet rooms provide hotels with an opportunity to make their rooms more inclusive for disabled and reduced mobility guests. As well as including a wheelchair, hotel wet rooms can also easily be designed to allow for other aids required for those with limited mobility. In this way, your bathrooms can be designed to accommodate a range of guests without needing drastic redesign. Environmental issues and safety considerations feature in all designs. Our specified floor tiles are easy to clean, comply with PEI wear ratings and meet HSE anti-slip requirements. Taps and shower valves comply with temperature control regulations and wherever possible we specify water saving devices such as dual flush cisterns, non-concussive basin taps with aerators and shower flow regulators. Wetrooms cover all bases, offering a stylish, luxurious and indulgent open plan bathing experience with an added wow! factor. Wetrooms also offer increased durability, thanks to the entire room being tanked with an impermeable waterproof membrane. This helps insulate and soundproof the wet room, as well as making it waterproof. In addition, the improved operational efficiency that wetrooms facilitate is not to be under estimated. The open plan design foregoes shower trays and screens, without which cleaning times can be reduced by up to a third. Cost-effective yet stylish does not have to be a contradiction in terms. There are a variety of ways, from design to cleaning to management, that hotel bathrooms can be cost effective without compromising on looks. Save energy by setting an upper limit of hot water. The average length of a shower is eight minutes, but in a hotel environment, people tend to linger. During that time, your shower is using around 60- 70 litres of hot water. By maintaining control of the temperature and ensuring flow rates are consistent, you can keep firm control of your bathroom energy costs. By investing in reliable, hard wearing materials, from tiles to taps, you can reduce the chances of leaks and repairs. A poorly build hotel bathroom will end up costing more money in lost room rates and repair outlays than spending a little more in solid installation at inception. When your housekeeping staff are responsible for the fast and efficient cleaning of hundreds of rooms, making your bathroom easy to clean can save thousands on worker hours. Opting for wet rooms in your hotel can reduce the time it takes to clean the bathroom by a third. Multiply that over hundreds of rooms 7 days a week and you’re looking at a serious time saving. Designing a bathroom that is exciting, stylish and instantly Instagram-able gives a premium feel to a hotel room. A premium feel justifies a premium price. After all, 68% of customers are prepared to pay more for better quality. Here at CCL Wetrooms, we have a great deal of experience in consulting, designing and fitting wet rooms in hotels. For more information, contact us today or review our case study below. We were approached by The Hilton Hotel in Park Lane, and asked to install level access wetrooms into the hotel’s 75 guest bathrooms. Our challenge was to provide appropriate drainage systems to perfectly fit the very shallow concrete floor in each wetroom. Click here for a full overview of this wet room installation.